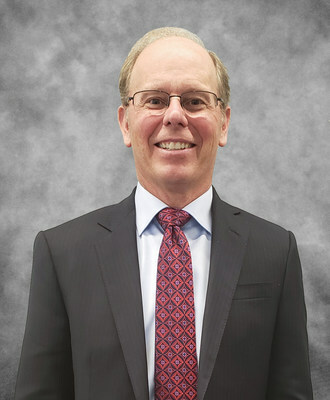 Most recently, Brady served as vice president of financial planning and analysis for Forest City Realty Trust and as chief financial officer of the residential and commercial group for Forest City Enterprises. Brady brings to the position more than 30 years of expertise in financial management, strategy and leadership. "I am confident that Jim will bring next-level leadership for our company, which has experienced an exponential amount of growth throughout the past five years," says Sinito. "We have a dynamic team to help us reach superior financial performance." As CFO, Brady will be responsible for the direction and oversight of the finance and accounting departments, which support: Millennia Housing Management Ltd., Millennia Housing Development Ltd., American Preservation Builders LLC, Millennia Commercial Group Ltd. and Millennia Housing Capital Ltd.
"In the CFO role, John has provided exemplary service to the company for more than 20 years, and we are extremely fortunate that he is staying on-board to assist Jim with the transition and to provide a high-level of support to specific projects moving forward," says Sinito.